Last week, a national medical organisation visited Liverpool Life Sciences UTC to present a unique day of project-based learning. 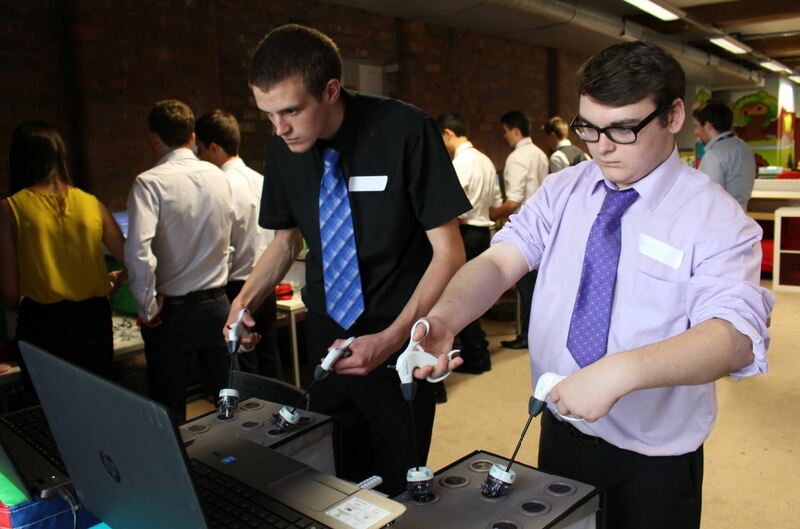 The Association of Surgeons in Training (ASiT) delivered master-classes in technical and laparoscopic surgery to students in Years 12 and 13. Students were introduced to basic surgical skills including suturing techniques and cyst removal, before performing a series of group challenges involving keyhole surgery. “This is the first time we’ve ever done anything like this below University level, but the UTC’s students have shown an impressive level of scientific and technical understanding. By introducing technical skills and clinical scenarios that surgeons encounter on a day to day basis, students benefit from first-hand experiences that may encourage their decisions in the future. As the first school in the UK to specialise in Science and Health Care for 14 to 19 year olds, Liverpool Life Sciences UTC reaches out locally and nationally to members of the scientific community to provide its students with vocational education pathways. “It was a privilege for ASiT to visit the school, we feel very fortunate to have such esteemed experts working with our students.